Congratulations to Ty Sullivan on Winning the IJGT Palmetto Classic at The Golf Club at Hilton Head Lakes. Ty shot 73-73 for a 146 two round total and a 1 shot victory in the Boys U19 Division. Katharina Hesse finished in 2nd place and Hannah Conroy 3rd in the Girls U19 Division. 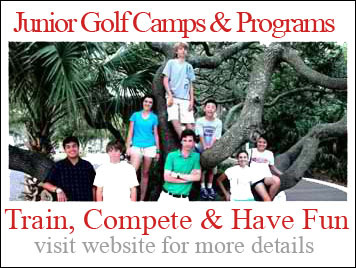 JPGA Students Win both older age Divisions at HJGT Low Country Junior Shootout. JPGA students Anita Uwadia and Isi Quevedo take 1st and 2nd at Amelia Island JR Challenge! Tiger Woods Out Of U.S. Open.